They call him the Bitter Buddha, comedian Eddie Pepitone is a master of the dark art of comedy. Hailed as a modern day cross between Jackie Gleason, Don Rickles and Eckart Tolle. Eddie is a force of nature on stage, switching between social rage and self-doubt. His shows are an energetic combo of calm and chaos, blue-collar angst and sardonic enlightenment. 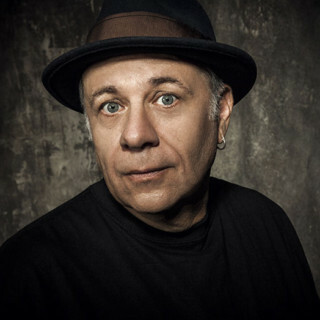 Few comedians working today channel the power of the rant better than Eddie Pepitone. In addition to his regular stand-up shows, Eddie is stand-out comic/character actor. Beginning in New York City’s improv/sketch scene (where he quickly became a regular face), and continuing on to recurring roles on Late Night with Conan O’Brien. Eddie has also appeared on numerous comedy TV shows, including The Life and Times of Tim, It’s Always Sunny in Philadelphia, The Sarah Silverman Program, Jimmy Kimmel Live, Last Comic Standing, and Chappelle’s Show. Fans also might recognize Pepitone from his role in the hit comedy Old School or from his multiple award-winning short, Runyon: Just Above Sunset. Eddie is also an accomplished dramatic actor, having appeared on Law and Order: Criminal Intent, The Beat, and Now and Again. After a nationwide tour with the acclaimed Chicago City Limits improv company Eddie settled down in Los Angeles, where he still performs today. Not one to be sedate, however, Eddie still tours the country regularly, having performed at some of the biggest venues in the comedy scene including The Improv, Caroline’s on Broadway, Largo at the Coronet, and both the LA and NY Upright Citizens Brigade Theaters. Nowadays Eddie can frequently be found on his must-follow Twitter, hosting the popular comedy podcast Pep Talks, and writing/appearing in the hit web series: Puddin’. Eddie has released his FIRST Live Comedy Album! Recorded at Gotham Comedy Club earlier this year, A Great Stillness has been highly anticipated since its announcement. The Huffington Post even went so far as to say, “…we highly recommend it as a stocking stuffer for everyone you know who thinks they know comedy.” You can buy A Great Stillness on iTunes or Amazon MP3 right now!